Either a happily ever after... or a broken heart. Author’s Note: All books in the #lovehim series are stand alones. The series number is recommended reading order. 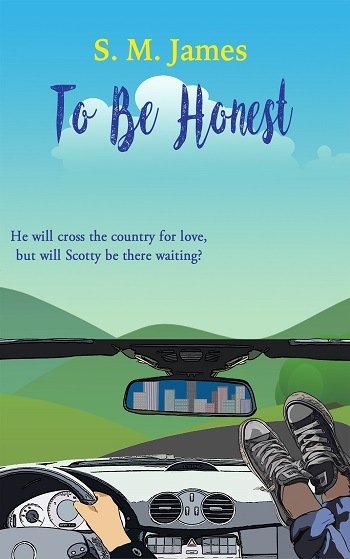 Part coming of age drama and part young adult romance, this is the story of Angus as he embarks on a cross country road trip to meet his online boyfriend. During the journey, Angus learns a great deal about himself, his friends, and their relationships. This is a slow, introspective story. A scholarship kid at an expensive private school and a gay football player in a team of straight guys, Angus is used to being an outsider and it is only when Tyler and Anah push him that he starts to reflect on the compromises he makes to belong. The online conversations between Angus and Scotty are sweet but Scotty’s secrecy constantly ruins any potential for real intimacy between them. The friendship between Angus and Tyler left me equally uneasy. I guessed the plot twist in their relationship early on but like Angus, I was constantly torn between Tyler’s sensitive and almost romantic gestures and his moments of almost defensive heterosexuality. I like that Angus is strong enough to hold out for what he needs from a relationship, but his caution doesn’t make for great romance. Ultimately, I found it was difficult to fully engage with the romance element of the story. I didn’t trust Scotty or Tyler and there was actually a point in the book when I just wanted Angus to enjoy an anonymous hookup. Interspersed between Angus’ introspective moments are all the typical American road trip sightseeing activities with his friends. Typical, ordinary – and possibly overdone, I didn’t love the road trip aspect of this story. I found the Anah and Link storyline annoying – but irritating road trip companions are one of the more realistic parts of the story. 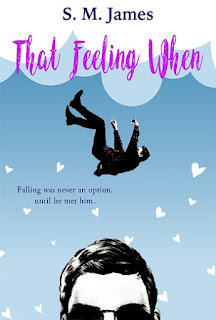 For reviews & more info, check out our stop on the That Feeling When Blog Tour. While not writing, S.M. is a readaholic and Netflix addict who regularly lives on a sustainable diet of chocolate and coffee. 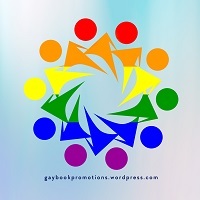 Unapologetically dishing out HEAs for LGBT+ characters. 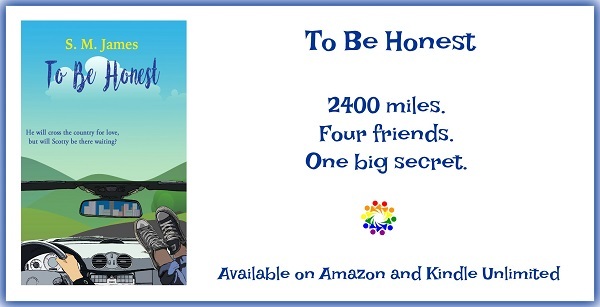 Reviewers on the Wicked Reads Review Team were provided a free copy of To Be Honest (#lovehim #2) by S.M. James to read and review for this tour.